Striving to make something as good as it possibly can be, is high quality craft. It takes longer, but it is timeless. It costs more, but it is priceless. The finer things take time. The trend to create rapidly and inexpensively with a limited skillset falls short of delivering lasting value; it pales in comparison to the exquisite mastery of a maker who has honed his craft over decades, if not generations. And while technology is able to replace something once only made by trained hands, machine-made simply can't match the human quality of that made with touch and heart. This narrative of master craftsmanship runs deep and surpasses even skillfulness and human touch. These maker stories, their processes, sources, and material properities often go unseen or unheard, so we decided to turn the spotlight on those that are amplifying the beauty and skill of high-craftsmanship. Guy Salter is the Executive Chairman for London Craft Week, which just wrapped up the 2017 event that ran from May 3-7. Through LCW, Salter is exposing and unleashing a rising obsession for exquisite quality craftstmanship. This is a fair where excellence is measured in hours and precision, and makers open their back work rooms. Demonstrations taut craftsman crouching low in painstaking positions to thread and inspect a tiny fold and seam, brush a miniature stroke, or perform a kind of rhythmic dance while spinning ceramics or blowing glass. These are not always the hands behind widely known brands, but also, the hands of the friendly guy down the street whose inconspicuous storefront shop you never noticed before. "[London Craft Week is] giving the consumer the alternatives. Where one minute you could be going and seeing behind the scenes in a household name brand, but next you're going round the corner down an alley and coming across and independent maker who you've never heard of before, but whose work is the same or higher quality." 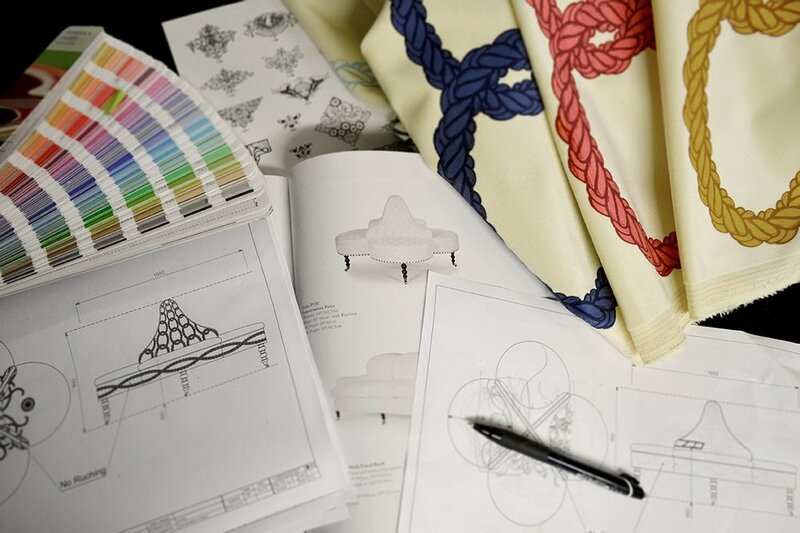 London Craft Week is leading the movement for luxury craft. These craftsman aren't generally new, they're just coming out of the woodwork and we're seeing them and honoring them for their remarkable skill. London of course isn't the only place where we can celebrate craftsmanship; fine craftsman are also dotted around the Great Lakes. We're locking into these noteworthy Michigan local craftsman who follow the same philosophy as those participating in London Craft Week. One of our favorite local residential high-craft artisans, Joseph Jeup, chose to build his 47,000sf manufacturing facility in Grand Rapids. Being a Detroit native, a fellow Kendall graduate, and having an appreciation for West Michigan's history of furniture making, Grand Rapids was a logical place for him to expand his business making luxury modern residential furnishings. "Joseph Jeup embodies exceptional craftsmanship. He believes that every detail is a design opportunity and, above all, that uncompromising standards yield incomparable results." Jeup is both an engineer and designer, an artist and craftsman yielding heirloom couture-quality furniture. His furnishings can be found in showrooms across the country. His meticulous attention to detail and high standards for quality construction set him apart as a respected influencer in luxury furniture design. Naturally following the high-craft lifestyle in Holland, Michigan, is Grand-Craft Boats. Grand-Craft has been restoring and building boats from mahogany for over forty years and attracts luxury boaters from all over the country. "The custom boat builder practices the slow process of cold molding planks of mahogany to create boats that are as durable as they are beautiful. 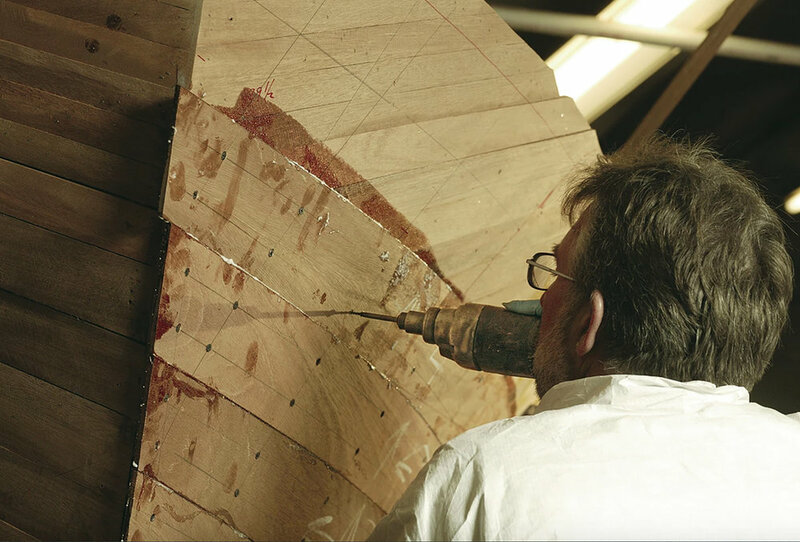 Each boat's mahogany exterior receives about 20 coats of varnish on the finish." "All our boats are entirely hand-built and take from seven months to a year-and-a-half to build, depending on size," owner, Jeff Cavanagh, said. Grand-Craft boats range in price from $120k to $1.5 million. Five new custom designed boats are produced each year, and have attracted customers including Robert Redford, Jennifer Lopez, Tim Allen and Kid Rock. Detroit-native Shawn Ward announced the launch of his luxury sporting goods making venture, Williamson Goods, at Detroit Homecoming one year ago. 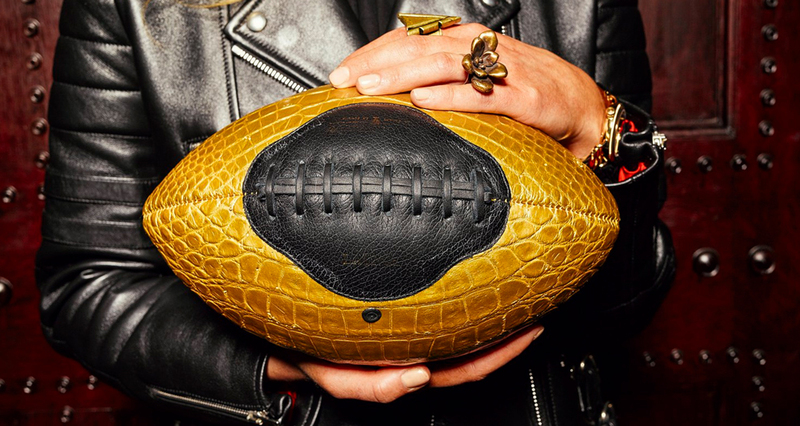 Ward is making bicycles and footballs for enthusiasts into heirloom pieces. You might elect to reserve this python wrapped $13k bicycle for special occassions along the lines of yachting to a private island for a leisurly bike ride off the shores of the East End of Long Island. Only 30 bicycles will be manufactured and will be engraved with it's limited edition number. The Wheelman Bicycle is a lavish work of functional art completely hand brazed and hand sewn in Detroit. All Williamson animal skins are CITES certified, meaning they are harvested in a sustainable and humane process. No chemical bi-products are used in the tanneries. High craftsmanship is not a lost art. It is a thriving one as LCW2017, Joseph Jeup, Grand-Craft, and Williamson have demonstrated. About a year ago, Jeff Cavanagh at Grand-Craft boats employed 12 people and was looking to add two more people to his team. He stated for Rapid Growth Media that building boats "is a great job, but is not for everyone. Boat craftsmen are hard to find". That limited supply of high-craftsman talent creates a level of exclusivity, which luxury also loves.